Reference service, the idea that librarians provide direct assistance to users, has been a central function of libraries for over a century. Today’s libraries are even more complex and intimidating to new users than libraries of the past, and the technical and social contexts in which users experience their library’s resources add to this complexity. The availability of a friendly librarian who helps users find materials, search for information on a topic, interpret citations, identify quality information, and format bibliographies has become a standard component of what libraries do. However, changes in technologies, economics, and user populations are causing many libraries to question the need and function of traditional reference services. This book examines how library services meet user needs in the twenty-first century. Many libraries are asking key questions about reference services, such as: Should librarians be on call waiting for users or out in the community promoting the library? Should we assign staff to help users one-on-one or is it more effective to assign them to build and use tools to teach users how to find and evaluate information? Will we continue to purchase commercial reference sources or just use Wikipedia and other free resources on the web? With the proliferation of information available today, how can we help users evaluate search results and select the best resources that they can find? And how do we evaluate the effectiveness of reference services? 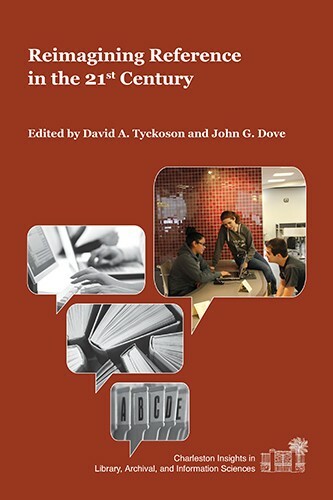 Through contributions from the leading scholars and practitioners in the field, this volume addresses such issues and how they affect practices in public and academic libraries. In addition, it presents perspectives from the publishing community and the creators of discovery tools. Each section is enhanced by short case studies that highlight real-world practices and experiences. A set of 23 studies illustrate many of the topics discussed with practical examples. Topics include: Personal Librarians (Martha Adkins, University of San Diego); Roving Reference (Madeline Cohen and Kevin Saw, Lehman College, CUNY); Twitter Reference Services (Amanda L. Folk, University of Pittsburgh at Greensburg); Community Outreach Through LibGuides (Mandi Goodsett, Georgia Southwestern State University, and Kirstin Dougan, University of Illinois at Urbana-Champaign); Integration of Library Resources Into the Course Management System (Janet Pinkley, California State University, Channel Islands, and Margaret Driscoll, University of California, Santa Barbara); Reference Services to Patrons With Disabilities (Michael Saar, Lamar University, Texas); Library Staff and Faculty Perceptions of Reference Service Change (Mara H. Sansolo, Pasco-Hernando State College, and Kaya van Beynen, University of South Florida, St. Petersburg); On-Call Reference Services (Krista Schmidt, Western Carolina University); Peer Reference Tutoring (Michelle Twait, Gustavus Adolphus College); Single Service Point Reference Services (Diane Hunter and Mary E. Anderson, University of Missouri-Kansas City); Embedding Reference Services in a Learning Management System (Jolanda-Pieta van Arnhem and James Williams, College of Charleston); Analyzing Usage Logs to Optimize Search Results (Christine Stohn, Ex Libris); Educating Reference Librarians for First-Day Success (Elizabeth Mahoney and Christinger Tomer, University of Pittsburgh); Reference: An Architect’s View (Rayford W. Law, Rayford Law Architecture+Planning); Discovery and the Digital Reference Desk (Andrew Nagy, ProQuest); OCLC and Discovery (John McCullough, OCLC); Discovery Services at OhioLINK (Ron Burns, EBSCO, and Theda Schwing, OhioLINK); A Solution for Teaching Reference Sources (Denise Beaubien Bennett, University of Florida); Crowdsourcing Reference and Library Help (Ilana Stonebraker and Tao Zhang, Purdue University); Embedding LibraryThing for Libraries in the Online Library Catalog (Amanda Viana, Norton Public Library, Massachusetts); Serving the Somewhere Out There Patron (Nicolette Sosulski, Portage District Library, Michigan); 24/7 Global Virtual Reference Cooperation (Susan McGlamery, OCLC QuestionPoint); and Boosting User Engagement With Online Social Tools (Georgina Parsons, Brunel University London, United Kingdom). David A. Tyckoson is associate dean of the Henry Madden Library at California State University, Fresno, where he is in charge of all user services. He regularly teaches online courses on reference and has published widely on various aspects of libraries and reference services. Tyckoson served as president of the Reference and User Services Association (RUSA) in 2007–2008, and he received the Mudge Award for distinguished contributions to reference librarianship in 2005. John G. Dove is best known for his various roles at Credo Reference, including CEO, president, and senior publisher. He has extensive experience in technology businesses, including electronic publishing and online education, extending back to 1968 when he joined a start-up on Wall Street that produced the first end-user accessible online database of stock market information. His other positions have included president and COO of SilverPlatter, a supplier of electronic and online bibliographic information to research libraries worldwide.